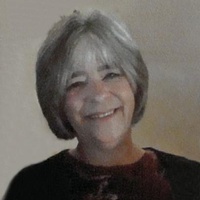 Kathleen “Kathi” Carlson of Thief River Falls, MN, passed away on Friday, January 18, 2019 at the age of 65. 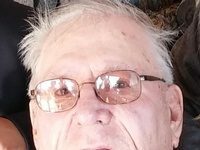 Funeral Services will be held at 11:00 AM on Wednesday, January 23, 2019 at Zion Lutheran Church in Thief River Falls, MN, with Rev. Mark Helgeland officiating. Visitation will be held from 5:00 PM until 7:00 PM with a 7:00 PM Prayer Service on Tuesday, January 22, 2019 at Zion Lutheran Church in Thief River Falls, MN. Visitation will also take place one hour prior to the funeral service on Wednesday at the church. Kathleen Lynn Page was born on August 27, 1953 in Ada, MN, the daughter of James and Patricia (Fisher) Page. She grew up on the family farm in Beltrami, MN, the oldest of seven children. Kathi attended elementary school in Beltrami and high school in Fertile, MN graduating in 1971. On December 23, 1977 Kathi married Marvin Carlson in Crookston, MN. They made their home in Thief River Falls. On October 10, 1978 they welcomed their first son Cameron. Their second son Dustin was born on June 17, 1980. 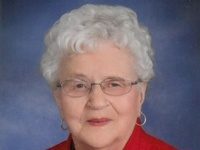 She enjoyed giving back to others and while her children were young was active as a United Way board member, and Cub Scout leader. She organized Cub Scout day camps that impacted hundreds of youth in northwestern Minnesota. Kathi was awarded the Sliver Beaver by the Northern Lights Council, Boy Scouts of America, the highest award a council can give a volunteer. She also spent time as co-chair of the Pennington Country Independent Republicans. In the late 1990s, Kathi went to work for a short time at the sewing department at Arctic Cat followed by several years at the Thief River Falls Times. She loved writing human interest stories and getting to know more about her community. In 2003, Kathi went to work at Digi-Key Electronics where she worked in Inbound Sales, Customer Service, writing press releases, and most recently editing photos for the Digi-Key website. Kathi loved spending time with her family always putting them first. Of all titles, her favorite was grandma. 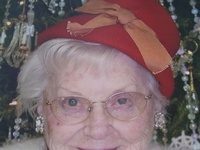 She adored her grandchildren and spoiled them every chance she got. Also a talented crafter, for several years Kathi made and sold dolls and patterns at local craft stores as well as the Country Sampler store in Appleton, WI. In recent years she had enjoyed scrap booking and rubber stamping making beautiful cards and other items. Kathi is survived by her husband Marv of Thief River Falls, MN; her sons, Cameron (Sarah) Carlson of Thief River Falls, MN, and Dustin (Miranda) Carlson of Goodridge, MN; grandchildren, Bjorn, Mathias, Marla, and Austin Carlson; mother Patricia Page of Thief River Falls; siblings, Karen Lundgren of Roseau, Deborah (Sheldon) Bolstad of Thief River Falls, MN; Dianne (John) Skauge of Beltrami, MN; James (Joni) Page of Beltrami, MN; Robert Page (Deb Notermann) of Prior Lake, MN; and Kim (Tim) Yancey of Hawley; sister in law Donna Bjerke (Darrel Forbes) of Woodbury, MN; brother in law Jim (Joyce) Carlson of Thief River Falls, Marlene (Christ) Ley of Warroad, MN; as well as many nieces and nephews and other family members. She was preceded in death by her father, James Page; father in law, Clayton Carlson; mother in law, Marvel Carlson; brother in law John Lundgren; and her maternal and paternal grandparents.